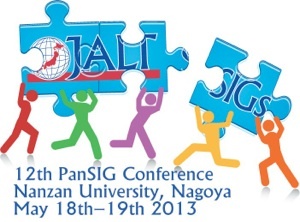 I’ll be attending and presenting at one of my favourite conferences, the JALT Pan-SIG, this weekend. I love the pan-SIG because it is a gathering of teachers that belong to special-interest groups (the SIGs) that focus on things they are passionate about. The quality of the presentations and interactions at pan-SIG is always very high, and I always come away with new information, techniques, and memories. I’ll be presenting on Saturday at 14:30, on student reactions to extensive reading classes. Hi Ben! Got to work on Saturday. Sorry that I can’t attend your presentation. However, hope to see you Sunday.